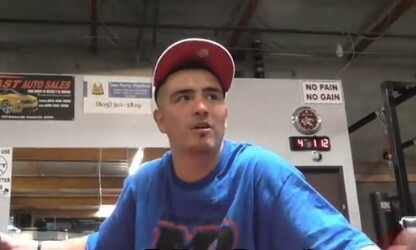 By Chris Williams: Former WBA lightweight champion Brandon Rios (31-1-1, 23 KO’s) says he’s around 160 lbs. right now with 3 months to go for his November 23rd fight against Filipino Manny Pacquiao (54-5-2, 38 KO’s), and he expects to over 150+ when he enters the ring to fight in front of a legion of Pacquiao’s fans at the Cotai Arena, Venetian Resort, Macao, Macao S.A.R., China. Rios is still shocked at how small Pacquiao was when he met him for the first time in Macao, and Rios expects his size advantage to work to his benefit in this fight. Rios moved up to 140 lbs. late last year in October, but he’s already to the point where it’s difficult for him to get to 140 lbs. and lower in order to make weight. By fighting at 147 lbs., Rios won’t have nearly as much weight to cut compared to in past fights. Even if Rios comes into the fight weighing 155 lbs., he’ll only have to cut 8 pounds of water weight to make the 147 lb. limit. I believe Rios will be a lot stronger for this fight than in his past fights, because he won’t be forced to take off more than 8 lbs. compared to some of his fights where he’s trimming off a lot of weight to get down to the light welterweight and lightweight limit. Pacquiao is going to be getting hit really hard in this fight. and if he’s unable to box and keep Rios away from him, we could see Pacquiao get knocked down two or three times before this one is stopped.